About Peachy and Peachy Baby! 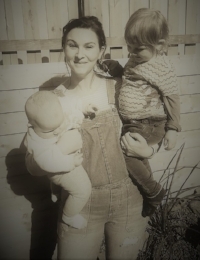 My name is Sinead O’Brien, I am a medical scientist, PhD, Mum of 2, and founder and creator of the natural skincare range Peachy. Peachy was developed after I had spent years trying to find a suitable skincare routine for my sensitive skin. I was using a lot of the top brands that are designed for sensitive skin, however I just didn’t see any difference. I began to feel that less is more. So I put my research hat on and the more I researched some of the ingredients in the products I was using, the more I realised they were not so kind for my skin. I decided to strip it all back, go au natural. I did a course in natural skincare and started to make products for myself, and so it began. At first it was solely a personal project for me, to help my own skin. But, as people began to see how my skin had improved and began to wonder what I was using, it quickly grew into Peachy and has been growing ever since. Social media has played a huge part in helping to grow the business. Our target market has been both male and female who would prefer to have a more natural approach and understand the ingredients in all products, and those who would like the same for their children. We feel social media has helped us to reach these people. We like to engage with our followers on a regular basis, allowing them to see not only what Peachy itself has to offer, but also an insight into what is the driving force behind the Peachy team, my family. I feel we have developed a little community in which myself and our followers all strive to do better for ourselves and our children to the best of our ability each day. Our motto and tag line is be kind to yourself, be peachy. We really try to promote this amongst our followers to be kind to themselves each day in a hope to play a small part in helping to maintain a healthy state of mind. In Peachy we only use the most natural of ingredients including organic natural butters including organic shea nut butter, organic coconut oil, organic cocoa butter, natural oils and therapeutic grade essential oils. We also provide a "Mummy to Be" range which is designed for expecting Mummies to ensure their skincare routine is as kind to baby as it is to Mum. In December 2015 I became a Mum for the first time to a beautiful little boy, and so the natural progression into skincare for children began. Our litte boy was swiftly followed by his sister less than 2 years later! As parents we spend every day doing the best we can for our little people, and I feel it is so important to be aware of what we place on our skin, as up 60% of these products are absorbed into our bodies on a daily basis. We now provide an ever growing range of Peachy Baby creams, lotions, using a base of calendula and chamomile to provide soothing, nourishing products for children and babies suitable from birth. Both of these precious little people continue to inspire me every single day. All products are handmade by myself and I am proud of the fact that all products are free from chemicals, synthetic preservatives, sodium lauryl sulphates (SLS), parabens, phthalates and most importantly do not contain any form of alcohol. Both Peachy and Peachy Baby hold the Guaranteed Irish status of which we are very proud to promote on all products.